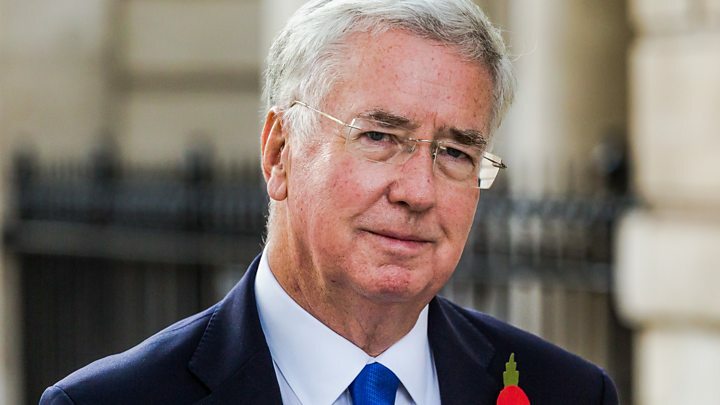 Theresa May’s Brexit deal is “doomed” and must be renegotiated, ex-defence secretary Sir Michael Fallon has said. Sir Michael launched a scathing attack on the proposed EU agreement, saying it was the “worst of all worlds” and the PM’s future was “up to colleagues”. 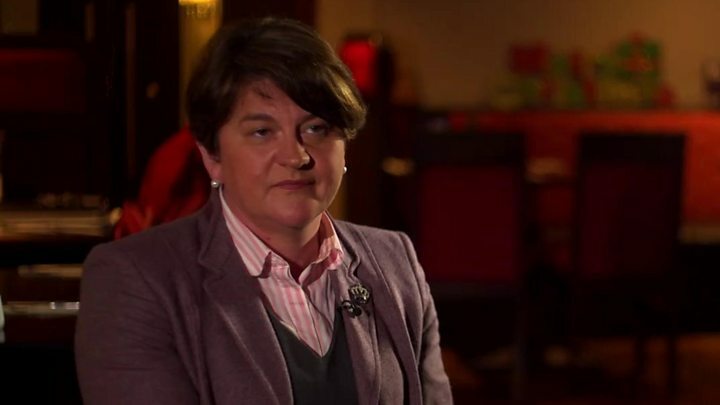 DUP leader Arlene Foster told BBC News the trip was a “waste of time” as Parliament would not support her deal. Mrs Foster, whose party has a parliamentary pact with the Conservatives to support the government, said Mrs May had “given up” on trying to secure a better deal for Northern Ireland. While people were “fed up” with the Brexit process dragging on, that was not a good enough reason “to accept what’s on the table”, she told the BBC’s political editor, Laura Kuenssberg. Parliament will vote on whether to accept or reject the terms of the UK’s withdrawal and future relations negotiated by Mrs May on 11 December. Sir Michael’s decision to come out against the deal is a blow to the prime minister, who is struggling to muster support in Parliament for it. US President Donald Trump has suggested the withdrawal agreement “sounds like a great deal for the EU” and might hamper a future trade deal with the UK but Mrs May said this was not the case. Sir Michael Fallon, who served as defence secretary under David Cameron and Theresa May before having to resign a year ago, told MPs on Monday the agreement was a “huge gamble” as it would see the UK give up its power to influence EU rules and regulations in return for vague assurances over future trade arrangements. He told BBC Radio 4’s Today that “this is not a good deal and we need a better deal”, saying that Mr Trump’s criticism of its repercussions for transatlantic relations “could not simply be brushed off”. “My fear is that this deal gives us the worst of all worlds,” he said. “No guarantee of smooth trade in the future and no ability to reduce the tariffs that we need to conclude trade deals with the rest of the world. Asked if Mrs May was also doomed, he replied “that’s up to my colleagues”, while stressing that a change of leader would not necessarily address the difficulties the UK now found itself in. When it was put to him that did not sound like an endorsement of Mrs May, he replied “take it any way you want”. The prominent Brexiteer Bernard Jenkin said there was a lot of “personal sympathy” for Mrs May but her authority when it came to the Brexit agreement was “collapsing”. Sir Michael said the 29 March 2019 date for Brexit, which is enshrined in UK law, may have to be pushed back to give negotiators the time to make major improvements to the agreement. All 28 EU states would need to agree to extend the Article 50 process of negotiations to allow this to happen, something Theresa May has repeatedly ruled out. Kuenssberg: An impossible task for PM? Cabinet Office David Lidington said he did not think doing this “would get us anywhere” as the EU had made clear this was the only deal on the table. He told Today there was no “Plan B” and the agreement was a “decent compromise” which would provide a springboard to the next stage of negotiations on the two sides’ future relationship. 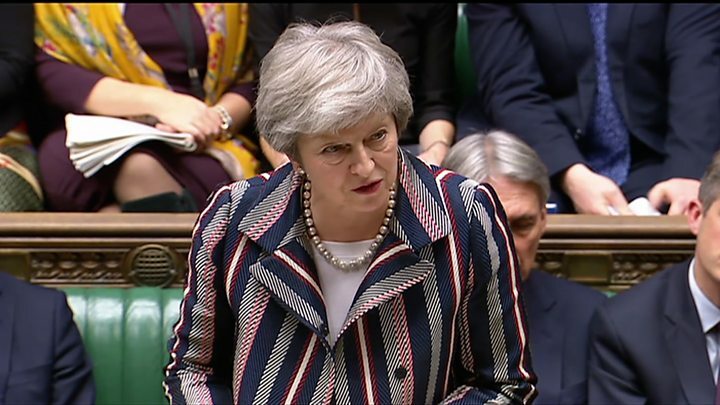 The prime minister is continuing to making the case for the agreement, which she says delivers on the 2016 referendum vote in key areas and is in the national interest. Responding to Mr Trump’s comments, Downing Street has insisted the UK will be able to pursue an independent trade policy under the terms of the political declaration on future relations. During a visit to an agricultural show in Builth Wells, Powys, Mrs May said: “As regards the United States, we have already been talking to them about the sort of agreement that we could have in the future. Under the proposed agreement, the UK would not be able to complete any trade deal with a country outside the EU until the end of the proposed transition period – currently scheduled to last until 31 December 2020. In reality, any bilateral agreement between the UK and the US is likely to take years to negotiate given its complexity, differing standards in areas such as agriculture, and the fact it would require ratification by the US Congress.